As the warmer weather begins to appear, green thumbs everywhere will begin to think about the first steps toward bringing outdoor gardens back to life. Perennial plants that have taken a break from the cold winter from indoor perches or those that are ready for some serious sunshine could find the ideal potting scenario in an outdoor cinder block planter. Miniature cinder blocks make a sturdy planter base that allows the soil to breathe as plants get adjusted in the outdoor weather. 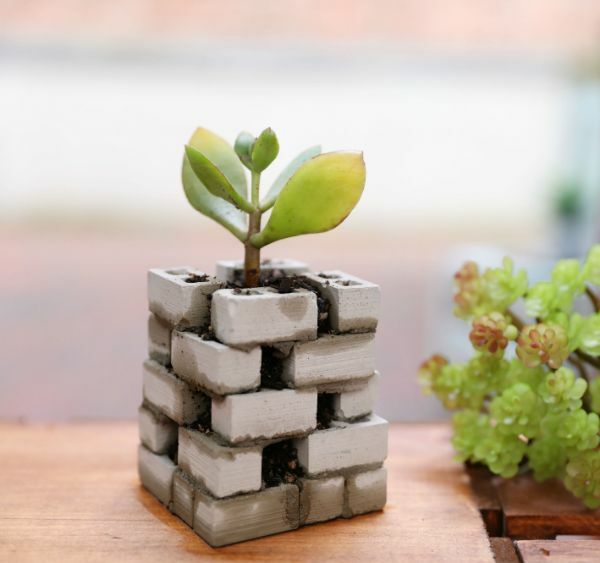 Miniature cinder blocks are easy to work with because of their manageable size but provide a durable final product that can host repotted plants many times over once complete. Some well-mixed repair mortar and a small wooden palette will provide the structural base to create a building space for this outdoor planter. Once the mortar has set, soil can be dropped inside the planter, making it ready for an indoor transfer or outdoor succulent. Stacking the cinder blocks in a unique pattern creates a nice balance between rustic and artistic. This type of planter would enhance a garden shelf or on an outdoor window sill to keep it well light yet easily admired from indoors. - Repair mortar mix, 5 oz. 1. Put on the plastic gloves to protect your skin from coming into contact with the mortar mix. 2. Fill a plastic bowl with 5 ounces of repair mortar. 3. Pour 1 ounce of water into the bowl. 4. Stir the mortar and water together with a craft stick. Add a few drops of water to the mix as needed. 5. Place a miniature wooden palette on a flat surface to act as a construction base for building the planter. 6. 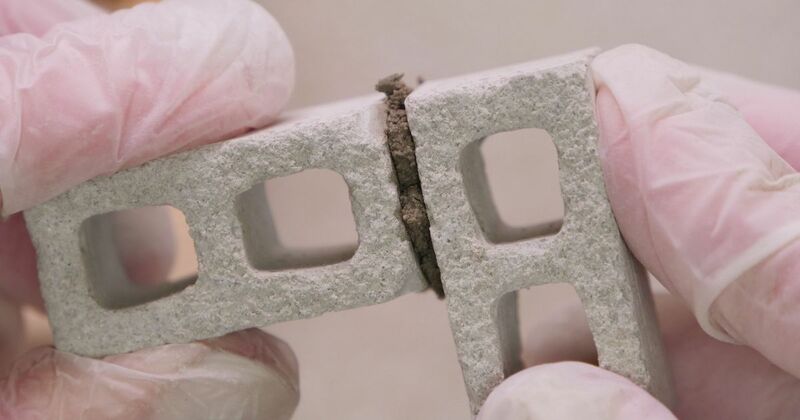 Apply a dab of mortar to the short end of a miniature cinder block with a craft stick. Set the block horizontally on the top left corner of the wooden palette with the mortar-covered end facing in toward the center of the palette. 7. Press the top end of a second cinder block to the mortar-covered end of the first block. Make sure the length of the second block runs vertically down along the palette. Fill the space between the blocks with mortar. 8. Attach a third cinder block to the long side of the second block with mortar so it’s secured vertically. Attach the fourth block horizontally underneath the first block. This will create a cinder block rectangle. 9. Repeat this pattern below the four secured cinder blocks with four additional blocks to cover the entire wooden palette with a cinder block base for the planter. Fill in any edge gaps with mortar as needed. 10. Once the base is complete, attach four cinder blocks lengthwise on top of each of the four sides of the planter base. This will build up the height of the planter by a level. Use mortar mix to secure the undersides of the blocks to the base. 11. Place and attach four additional blocks on top of the first level blocks, allowing the edges of each to rest on two blocks below. 12. Continue adding levels of four cinder blocks to the stack until four levels of blocks have been crafted altogether. Although the edges of all of the blocks will touch, there should be square recesses between them that will allow moisture and sunlight to reach the soil that will be added. 13. Fill the interior of the planter with potting soil until it reaches the top level of cinder blocks. 14. Place a succulent plant in the center of the soil. 15. Water and place the planter in an outdoor garden.